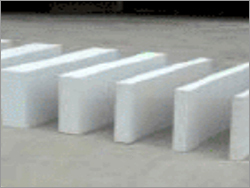 What is Aerated Concrete (AC)? By volume, AC is mostly air! 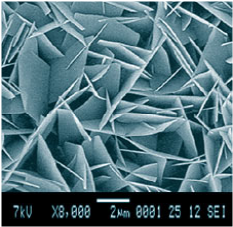 The cellular structure of the material creates millions of tiny air pockets that make up approximately 70% of the volume. AC is an ultra-light product. It can weigh as little as 1/5 as much as ordinary concrete due to its distinct cellular structure of trapped air. This cellular structure gives AC a number of exceptional physical characteristics. Aerated Concrete has been around for over 80 years. Discovered in 1923, AC has been used extensively in Europe and Asia. The use of AC is over 40% of all construction in the United Kingdom and 60% in Germany. More AC is produced worldwide than any other building material with the exception of regular concrete. The World's Most Innovative Building Material. Unsurpassed by any other building product. The chart below demonstrates thermal mass inertia in other words the transfer of heat from the exterior to the interior. 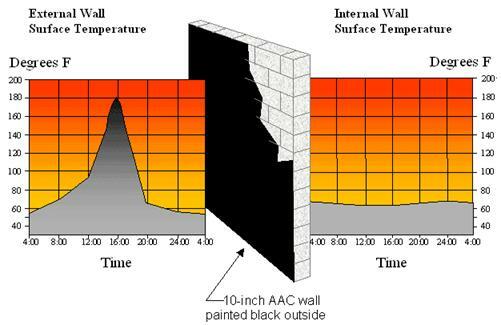 In this study, one side of a 10-inch AC wall was painted black to maximize heat absorption from the sun. A thermometer measured temperature changes on the exterior and interior surfaces over a twenty-four hour period. The exterior surface increased over 126°F while the interior surface increased only 2°F. Interior walls NO more drywall! Mold, mildew and rot proof, get it wet let it dry out no worries. Durable quality, endures with low maintenance. Copyright 2010 green monster houses inc. All rights reserved.